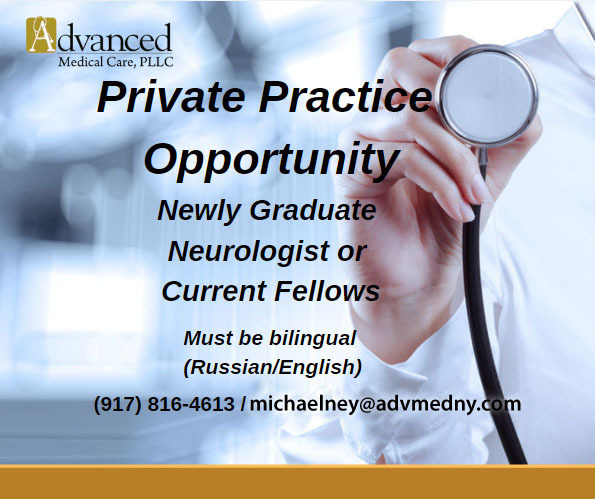 Affiliate Assistant Professor of Clinical Neurology at Weill Cornell Medical College, Board-Certified Neurologist and co-owner of Advanced Medical Care, Dr. Neystat completed her residency in neurology and internal medicine at Long Island Jewish Medical Center. She offers diagnosis and treatment of general neurological conditions and disorders, bringing together extensive clinical experience, compassion, and state-of-the-art equipment to address your neurological needs. 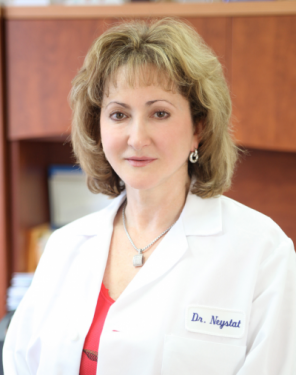 With over 20 years of experience, Dr. Neystat takes pride in encouraging every patient to play a vital role in their treatment. 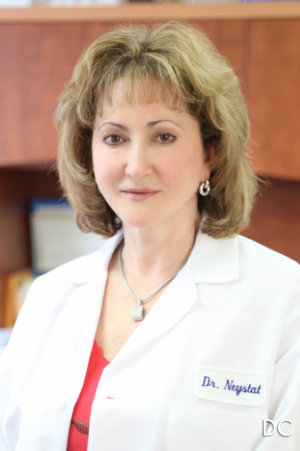 She is affiliated with Long Island Jewish (LIJ) Medical Center and New York Hospital of Queens. Dr. Marina Neystat, Board Certified Neurologist, offers diagnosis and treatment of general neurological conditions and disorders. She brings together extensive clinical experience, compassion, and state-of-the-art equipment in addressing your neurological needs. Dr. Neystat takes pride in encouraging each and every patient to play a vital role in his treatment. Expression of cyclin-dependent kinase 5 and its activator p35 in models of induced apoptotic death in neurons of the substantia nigra in vivo. Neystat M, Rzhetskaya M, Oo TF, Kholodilov N, Yarygina O, Wilson A, El-Khodor BF, Burke RE; J. Neurochem.. 2001-06-01. 85 citationsIncreased expression of rat synuclein in the substantia nigra pars compacta identified by mRNA differential display in a model of developmental target injury. Kholodilov NG, Neystat M, Oo TF, Lo SE, Larsen KE, Sulzer D, Burke RE; J. Neurochem.. 1999-12-01. Alpha-synuclein expression in substantia nigra and cortex in Parkinson's disease. Neystat M, Lynch T, Przedborski S, Kholodilov N, Rzhetskaya M, Burke RE; Mov. Disord.. 1999-05-01. 48 citationsChromosome 12-linked autosomal dominant scapuloperoneal muscular dystrophy. Wilhelmsen KC, Blake DM, Lynch T, Mabutas J, De Vera M, Neystat M, Bernstein M, Hirano M, Gilliam TC, Murphy PL, Sola MD, Bonilla E, Schotland DL, Hays AP, Rowland LP; Ann. Neurol.. 1996-04-01.